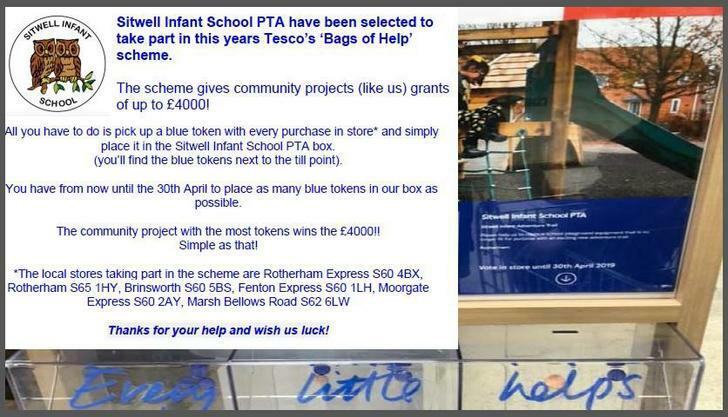 Until 30th April, you will be able to vote for Sitwell Infant School in the local Tesco stores to support us in winning up to £4000 which will be spent on school equipment. Please see the picture below for full details and make sure to vote for us in store! Thank you.